1000 Sidney Baker St. S.
You supply the view, we'll supply the rest. Rate and review OutBack Patio Furnishings - Kerrville in Kerrville, TX, United States! 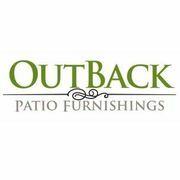 Share your experiences at OutBack Patio Furnishings - Kerrville with your friends or discover more Furniture Stores in Kerrville, TX, United States.